Yes, there are deserts in "Russia"; more specifically they are located in Central Asia, not really "Russia" proper anymore. The Kyzyl Kum is to the east of the Amu Daria River and the Kara Kum--to the west of that river. The Kyzyl Kum (aka Kizil Km, Kizylkum, Qizilqum, Қызылқум, etc.) --red sand--is the eleventh largest desert in the world and is split between Kazakhstan, Uzbekistan and Turkmenistan, covering almost three hundred thousand sq. km. On the west it is bounded by the Amu Daria River; and across that river is the Kara Kum (aka Karakum, Garagum, Каракумы, etc.) --black sand--which encompasses well over half the land area of Turkmenistan, about three hundred thousand sq. km. The Kara Kum is east of the Caspian Sea, south of the Aral Sea and north of Iran. Both deserts can get very hot, hot, hot. 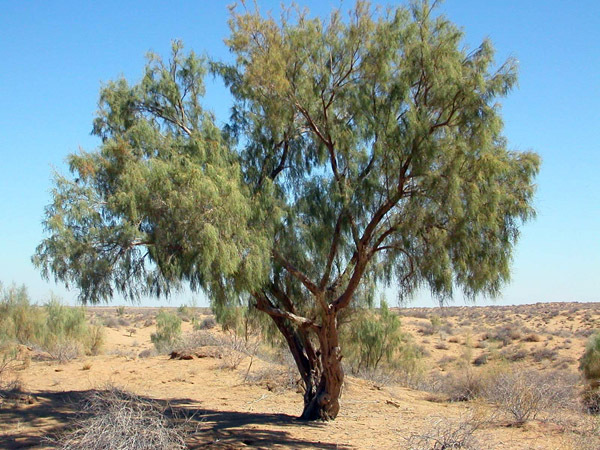 A tree blooms in the Kyzyl Kum desert! A sandstorm in the Kara Kum desert. A panorama image of Central Asia featuring a view of the Kara Kum and Kyzyl Kum deserts. 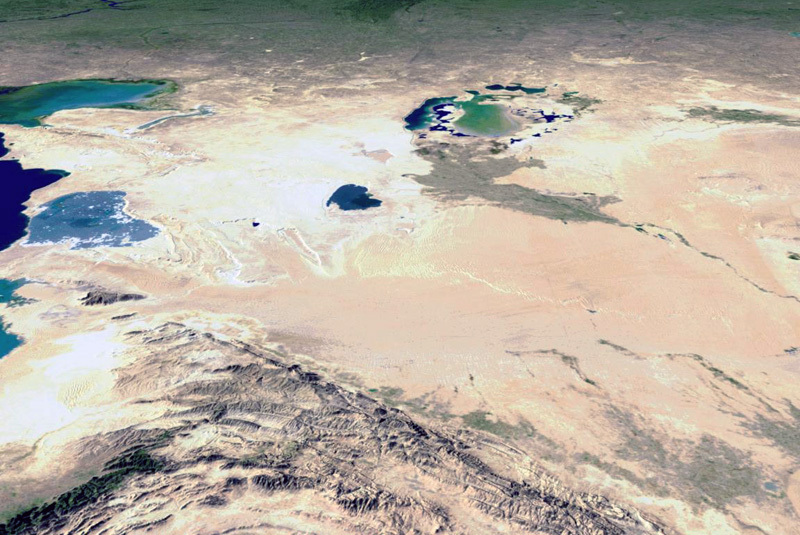 In this image, the Caspian Sea is to the far left; the Aral Sea is in the upper center; and the "lake" in between is Lake Sarykamysh, sometimes dry. The Kara Kum is below the Aral Sea, and the Kyzil Kum is to the right..